An archetypal Fullers pub: boxy, smart with wooden trimmings and tasteful stained glass. The artillery is a good all-rounder with decent service and the dependable range of ales from said brewery. An equally handsome function room, known as The Barracks, can be found upstairs. It wasn't always so stylish. 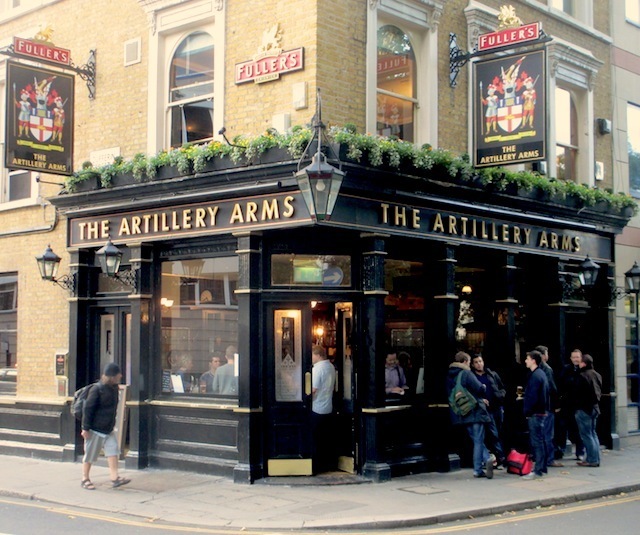 In days of yore, when known as The Blue Anchor, the Artillery was a notorious venue for rat baiting. 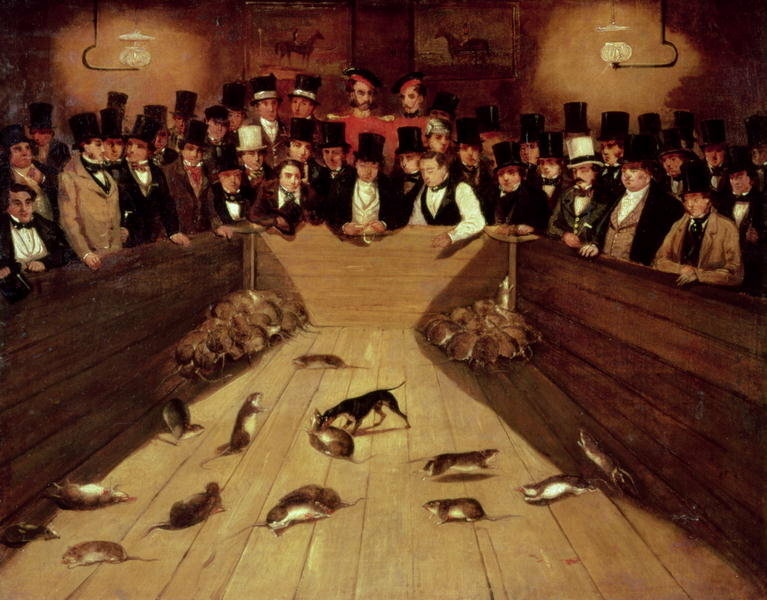 Proprietor Jemmy Shaw would buy 300-700 rats a week, caught from the fields around London, then pit them against a dog. This painting shows the scene. 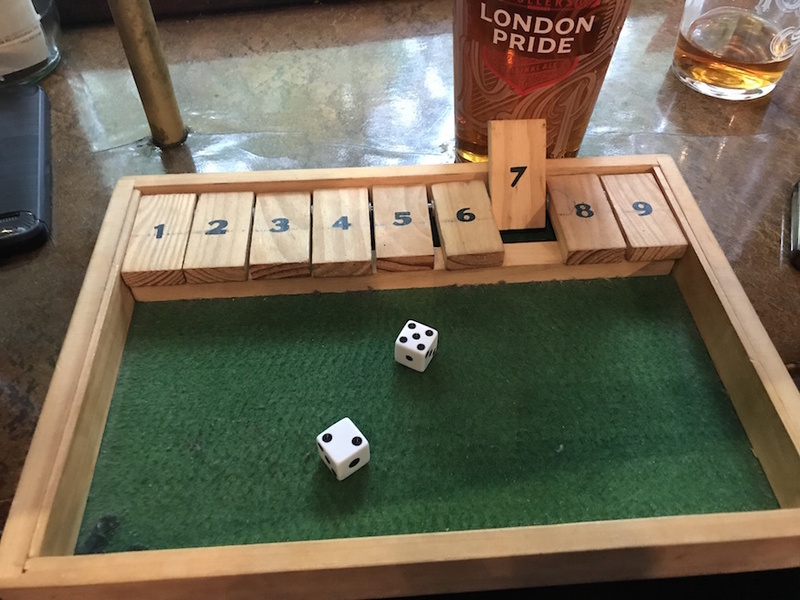 Bruce Dickinson and friends, enjoying a tipple at the Artillery. The rats are long gone, but the pub still wallows in local history. It gets its name from the nearby Honourable Artillery Company, whose barracks have sat on this minor hilltop since the 17th century. 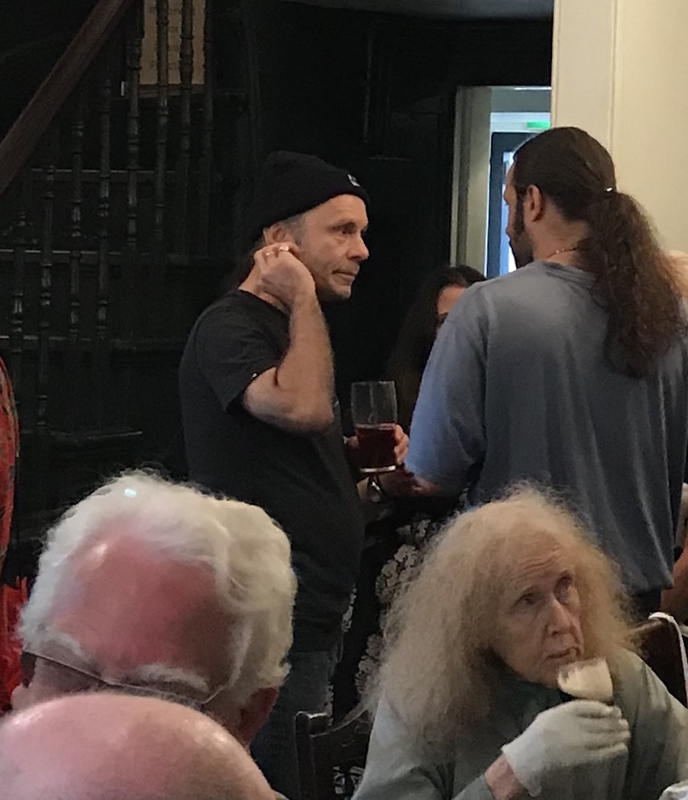 Meanwhile, those who take one of the window bar stools can gaze out onto Bunhill Fields, an old dissenters' cemetery and final resting place of William Blake, Thomas Bayes, John Bunyan and Daniel Defoe. Oh, and round the corner on Chequer Street you'll find one of the last bits of wooden paving in London. A remarkable part of town. On Facebook. On Twitter as @artilleryarms.